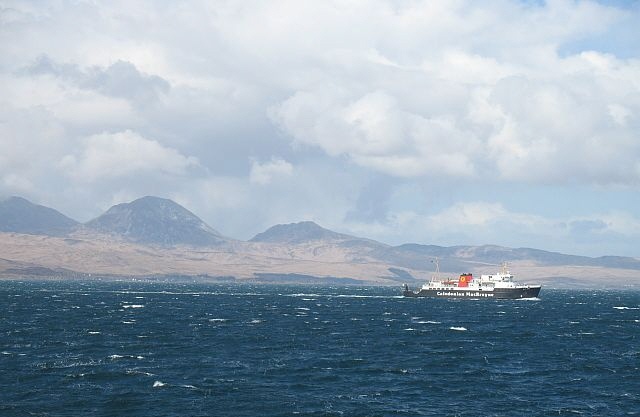 Most people get to Jura by ferry via the neighbouring island of Islay. Caledonian MacBrayne (known locally as Calmac) operate car ferries from the mainland to Islay. Cars should be booked well in advance. Following the extension of the Road Equivalent Tariff scheme to Islay, ferry fares have now been significantly reduced. 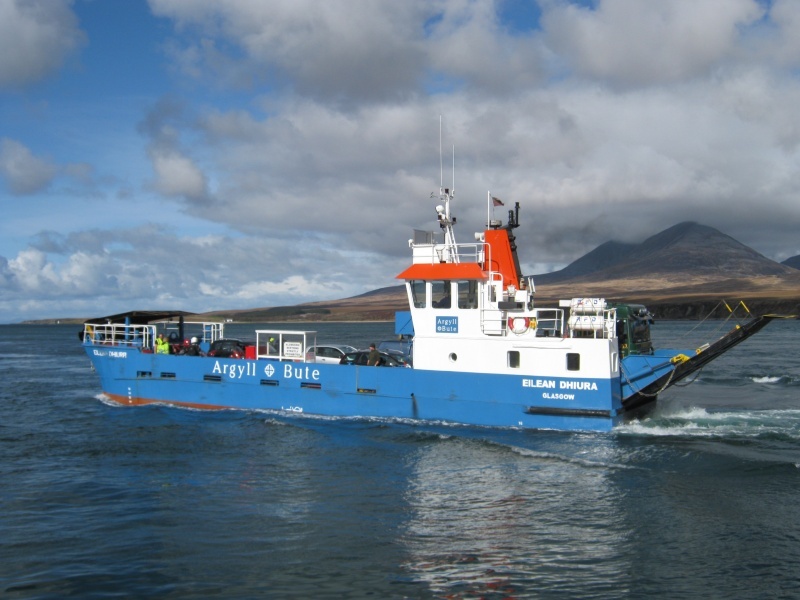 The car ferry from Islay to Jura is not run by Calmac but by Argyll and Bute Council. It does not take advance bookings. This short video gives a feel for what the crossing from Port Askaig to Feolin is like. From April to September there is also a direct passenger ferry service by fast RIB to Craighouse from Tayvallich. Daily flights from Glasgow to Islay are operated by Flybe. Citylink coaches from Glasgow to Kennacraig on Kintyre connect with Calmac ferries to Islay. There are buses on Islay, some of which connect with ferries and flights. There is also a useful bus service on Jura. Car hire is available on Islay, at Cresswells and at Islay Car Hire. Both companies will deliver to Islay Airport and to the Islay ferry ports.